Atlanta, GA (RestaurantNews.com) Hooters of America, LLC, today unveiled the opening of its first-ever location in Santa Cruz, Bolivia, led by franchise partner, Francorp SRL. 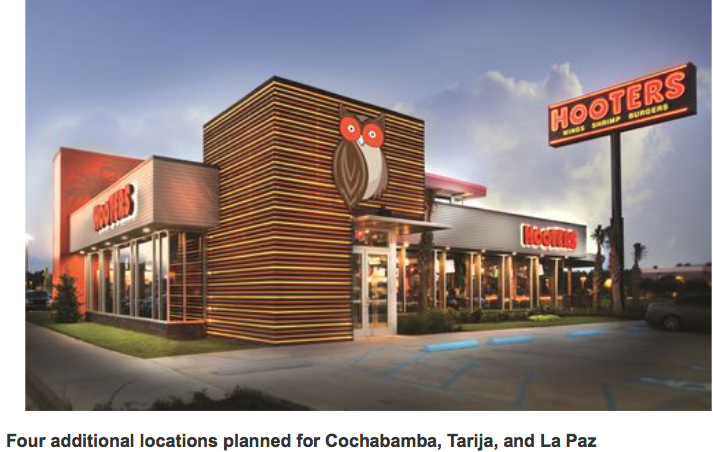 The opening is part of a five-location agreement that will see Francorp SRL open an additional four Hooters restaurants in Cochabamba, Tarija, and La Paz. Hooters of Santa Cruz opens its doors to guests on Thursday, Feb. 23 in the popular Cine Center Santa Cruz, part of the Zona el Trompillo neighborhood. The new 6,458 square-foot location features more than 36 large-screen televisions as well as a children’s area. The new locations will incorporate the latest design features that deliver the familiar, fun-loving persona of the Hooters brand along with contemporary elements that combine to deliver a one-of-a-kind guest experience. “With their vast experience working with international brands and the casual dining sector, we have every confidence in Francorp SRL to deliver Hooters one-of-a-kind experience to fans in Santa Cruz,” said Mark Whittle, chief development officer, Hooters of America. Hooters continues its acceleration of restaurant openings with plans to open over 30 new locations globally in 2017 and is actively seeking qualified franchise partners to open new locations in select markets across the U.S. and around the globe. For more information about becoming a Hooters franchisee, visit hooters.com/franchising. For more information about Hooters, visit http://www.hooters.com. Francorp SRL is one of the largest restaurant holding groups. Its fast food brands include Tropical Chicken, Frozz and Casa del Camba. Also part of its portfolio is fine dining restaurant, Terra. Francorp SRL excels in the areas of food quality and guest satisfaction standards, giving the overall experience every client deserves. 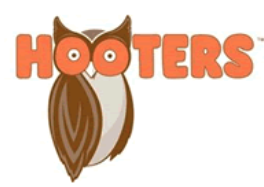 Francorp SRL looks forward to working with Hooters and is proud to be a part of this new team. Hooters of America, LLC, is the franchisor and operator of more than 425 Hooters restaurants in 40 states and 28 countries. Known for its world famous Hooters Style chicken wings, the first Hooters opened its doors in 1983 in Clearwater, Florida. Expectations were so modest at the time that the simple fact the doors opened was deemed worthy of a toast. Since then millions have been liberated from the ordinary at Hooters while enjoying great food, fun and one-of-a-kind hospitality that can only be served up by the Hooters Girls. 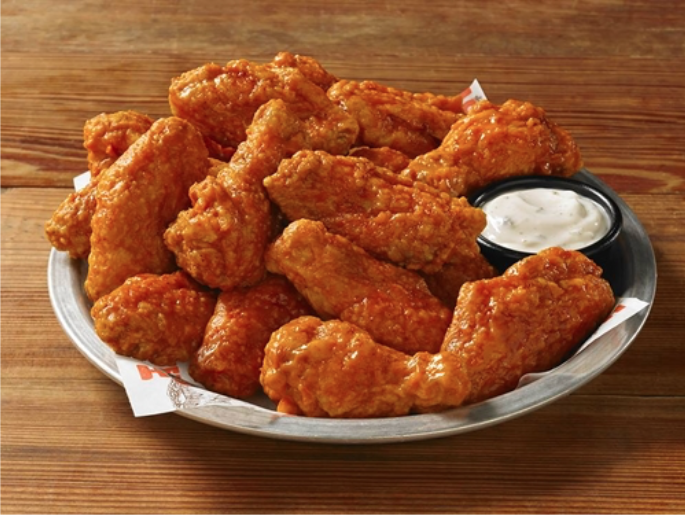 For more information about Hooters visit http://www.Hooters.com or follow us at twitter.com/hooters, facebook.com/hooters, instagram.com/hooters or on Snapchat at “hooters”. This entry was posted in Bolivia, Business, Santa Cruz, Tourism and tagged competitiveness. Bookmark the permalink.